This one will wow you! 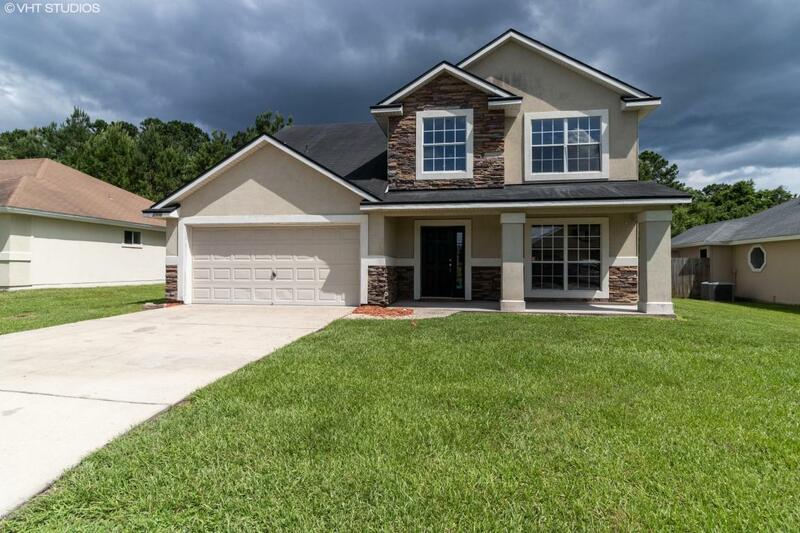 Located in The Retreat, this gorgeous home offers 4 bedrooms and 2.5 baths. There's a grand Foyer with soaring ceiling and decorative windows bringing in lots of natural light. A formal Dining Room, dinette space in the kitchen and a Family Room with fireplace to make this home special. Added features - an attached 2 car garage, separate inside laundry room and rear patio overlooking the Preserve-bordered back yard. The neighborhood offers a large community playground and walking trails. New carpet and fresh paint inside. This is a Fannie Mae HomePath property. Ask about special financing and closing cost assistance which is available to those who qualify. Sale is open to owner-occupants and investors.